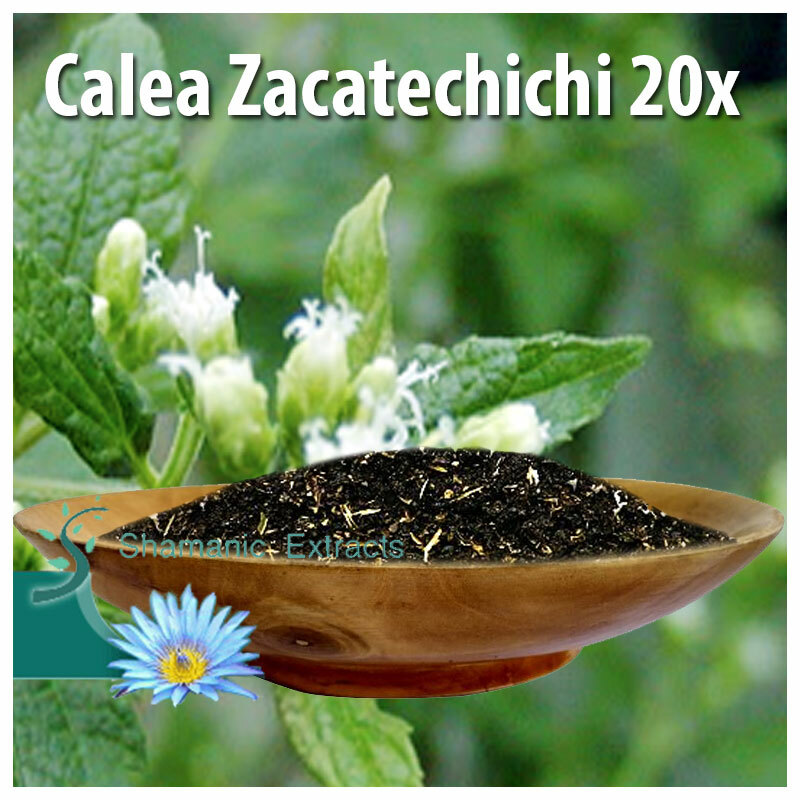 Calea zacatechichi is a plant used by the Chiapas and Chontal Indians of Mexico to obtain divinatory messages during dreaming. The Chontal Indians, who believe in visions seen in dreams, take tea of Calea zacatechichi with crushed dried leaves (tastes disgusting) or smoke cigarettes from the leaves before going to sleep. The Chontal Shaman call it "thepelakano" or leaves of god. The tea tastes utterly vile (probably the nastiest tasting tea in the world), however, it is said to be not unpleasant to smoke and produces a uniquie high. Active Constituents: James Duke reported, in his Handbook of Medicinal Herbs, 0.01% of a crystalline alkaloid, C21H26O8. Psychoactive components uncertain but believed to be in aromatic and bitter principle. Much research is currently being done with this herb and there is more information on the Internet at the Erowid Calea zacatechichi beginner's guide. This extact is 20 times more potent than the standard leaf. Share your experience about Calea Zacatechichi 20x with other customers. Submit your tips or thought on this product, be detailed and specific.